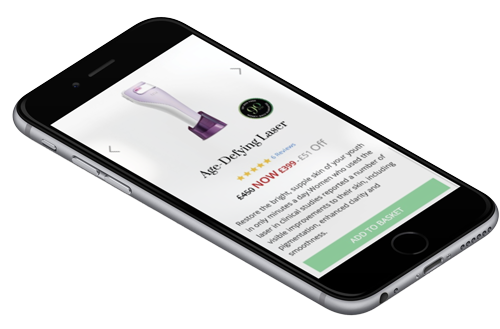 Tria Beauty was born in 2003 with the goal of transforming a professional laser into a handheld, easy-to-use device that delivered permanent results; it successfully achieved this in 2005 with the launch of the Hair Removal Laser in Japan. At the time of our collaboration, Tria’s goal was to continually introduce state-of-the-art innovations to address the key beauty concerns of the ever-growing global community of women and men who seek affordable, high-tech, professional results. 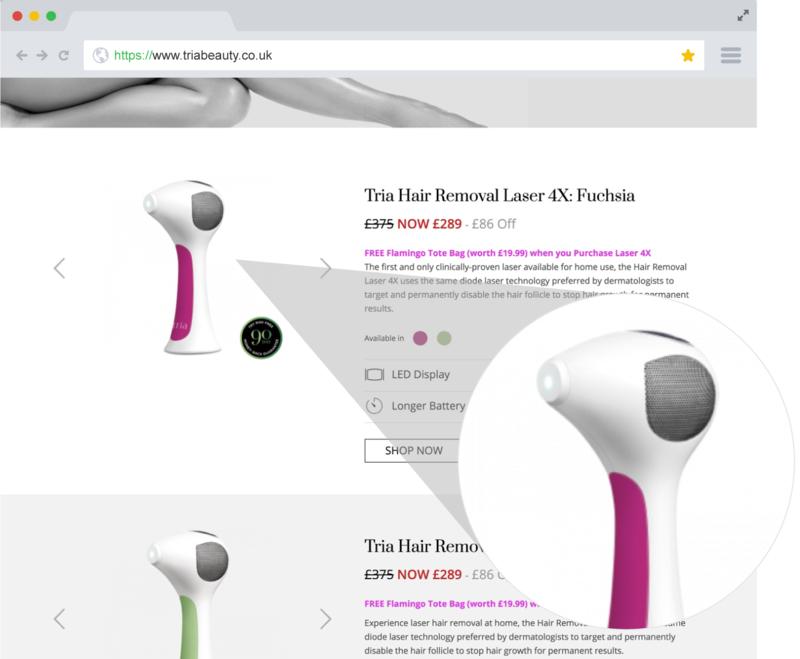 Screen Pages was tasked with creating an eCommerce site that would capture Tria’s vision whilst ensuring confidence in consumers. Innovation and safety were the key directives, whilst harnessing Screen Page’s typical eCommerce best practice. What makes Tria’s site so special is the organisation, management and automation behind the scenes. Magento is the most flexible, most powerful eCommerce platform. Customisable and agile, Magento gives your business the flexibility other platforms can’t. Magento is the easiest and smoothest implementation for any modern cloud commerce platform. It uses an open-source ecosystem. Flexible for B2C, B2B, and hybrid solutions, Magento extends beyond the shopping cart. 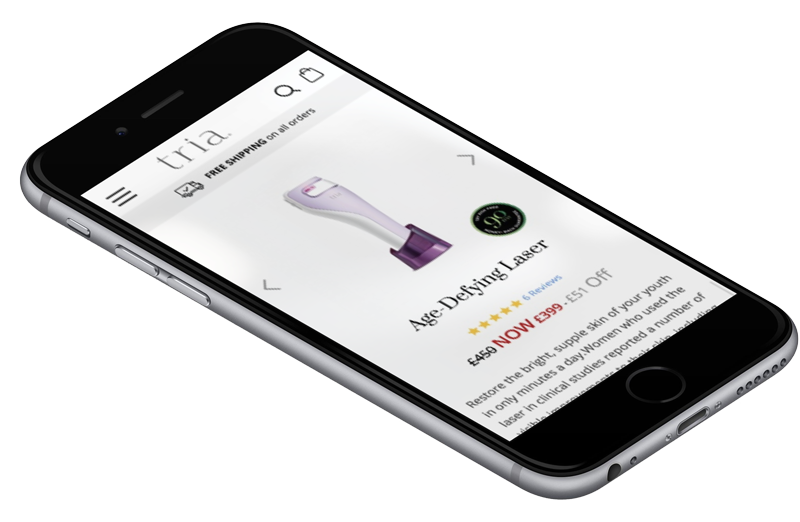 Screen Pages and Tria Beauty deliver an irresistible, seamless shopping experience at every touchpoint. Responsive web design (RWD, also referred to as responsive design) was a key focus for Tria. Screen Pages had to ensure an optimal viewing experience across a wide range of devices (from large, high-resolution desktop computer monitors to mobile phones). Combined with Tria’s drive for innovation, the user experience (UX) became our obsession. 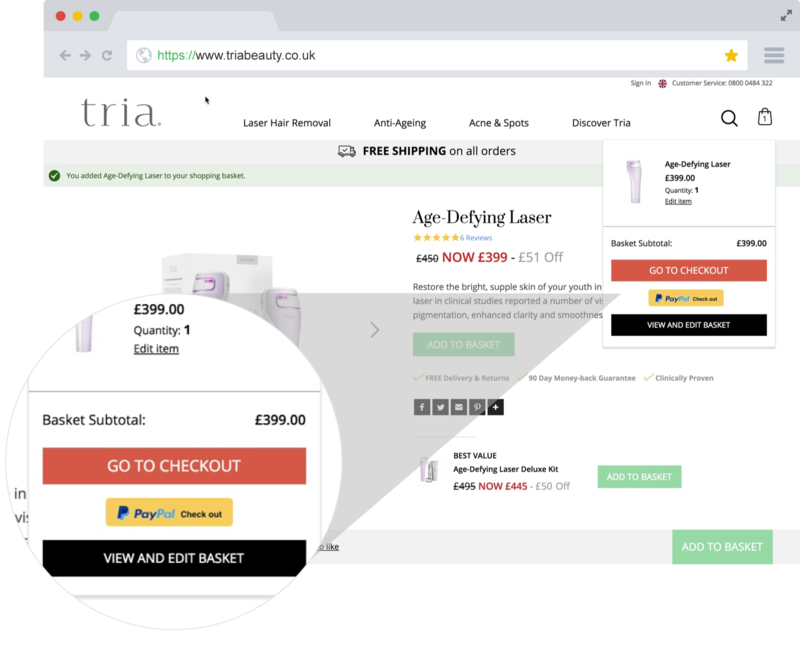 The objective was to ensure the user eCommerce journey was as streamlined and efficient as possible, whilst maintaining high regard for Tria’s key focus on customer information, safety and professionalism.